Spray tanning may be the new kid on the block when it comes to attaining the gorgeous, golden glow you desire, but it blows other methods out of the water. Traditional tanning methods are the worst, when you think about it. Not only is it practically impossible to achieve and even, all-over tan when you’re lying in the sun (and don’t even get started on tan lines), but you’re also risking the premature aging and melanoma that could go hand-in-hand with exposure to UV rays. And don’t buy into the nonsense that tanning beds are any better. Sure, you can get a more even tan, but the risks are just as high. Finally, there are home tanning solutions that often leave you looking streaky, orange, or otherwise like you took the cheap shortcut. 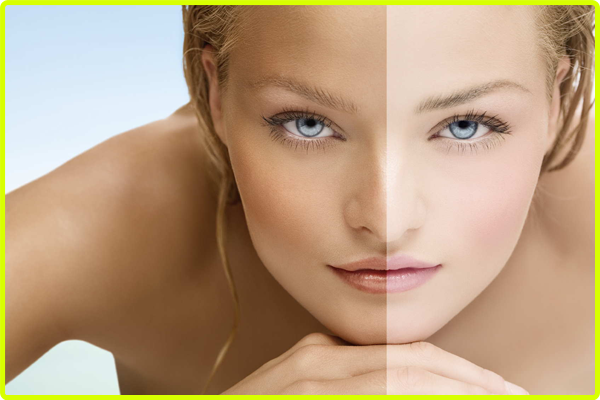 Spray tanning is easy, convenient, safe, and it offers a perfect tan every time. But you can only get the best results by properly preparing for your session. And for newbies to the art of spray tanning, there is a bit of a learning curve. Since you’re probably paying for the application, you want to make sure you get the anticipated value. The process begins a few days before you’re scheduled to hop in the booth and get misted. There are really only two main steps you need to hammer into your head when it comes to prepping for your spray tan: exfoliate and moisturize. Dead skin cells are the enemy of even application and proper absorption. In short, your dry skin could ruin your tan before you ever get sprayed. So in the few days leading up to your appointment, you need to pull out the loofah and go to town, scrubbing any areas to be tanned and paying close attention to problem spots like heels, knees, and elbows that tend to be rougher and drier. Following exfoliation, you should take full advantage of the open pores that are courtesy of a steamy shower by moisturizing immediately. If you want to slow cell turnover, slathering on the hydration that a thick, creamy body lotion or even body oil can provide is essential to creating the smooth and unblemished palette needed for a perfect spray tan. Just make sure that your skin is free of products on the day of your appointment. Any lotion, deodorant, makeup, or perfume on the skin could interfere with the penetration of the spray tanning solution, leading to streaky or patchy application (and a mess you probably don’t want to deal with). Don’t forget, you should also get rid of unwanted hair before your appointment. This means shaving the day before (you don’t want to do it the day of since open pores could affect application). But a better bet is actually to get waxed 1-2 days in advance, the reason being that shaving after your appointment can reduce the longevity of the product. It’s not all that difficult to prepare for spray tan services, but you do need to exercise due diligence if you want to see flawless results that last for several days (although duration also depends on how you behave following your Artesian Tan session).